Merchants, as well as customers, have noticed the importance of online product reviews and numeric ratings in electronic commerce websites. It is valuable if merchants can discover some potential customer value from the sheer volume of data. 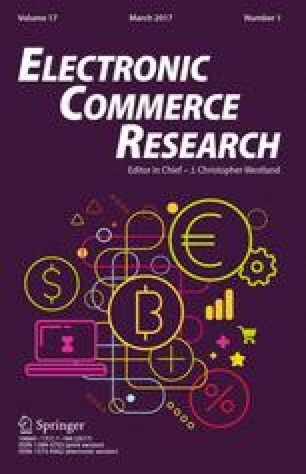 This paper contributes a semantic text analytics approach that can dig out the customers’ most basic concerns about their online purchase choices. More specifically, based on the hypothesis that the product reviews and overall ratings estimated by same person in a tiny time interval have a great relevance, we dexterously utilize this relevance to realize the embedded customer value. In the proposed method, take the single lens reflex camera for example, an innovative aspect extraction method that comprehensively considers the product ontology and results of the topic modeling method latent Dirichlet allocation is applied. As a result, 8 specific aspects are identified from the experimental results. For each aspect, a self-contained review feature corpus is created as an extension of some seed terms. After aspect-based sentence segmentation and context-sensitive sentiments preprocessing, aspect-oriented sentiment analysis is applied. Multiple regression analysis is then used as a statistical measure to discover determinant aspects of overall ratings. The results reveal that cost performance, image quality and product integrity are the three most influential aspects. The practical implication of our research is that merchants can efficiently modify their products, to satisfy more customers and also boost sales performance. This research work was partly supported by 973 Project (Grant No. 2012CB316205), National Natural Science Foundation of China (Grant No. 91224008 and 71301163), Humanities and Social Sciences Foundation of the Ministry of Education (No. 14YJA630075 and 15YJA630068), Beijing Nova Program (No. Z131101000413058), and the Fundamental Research Funds for the Central Universities, and the Research Funds of Renmin University of China (No. 10XNK159, and No. 15XNLQ08). Horrigan, J. (2008). Online shopping. Pew Internet and American Life Project Report. http://www.pewinternet.org/Reports/2008/Online-Shopping.aspx. Accessed 13 Feb 2008. Zhang, H. P., & Liu, Q. (2002). ICTCLAS. Institute of Computing Technology, Chinese Academy of Sciences: http://www.ict.ac.cn/freeware/003_ictclas.asp.